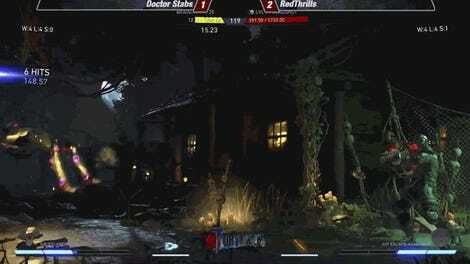 Two players who had faced the greats and came out on top clashed in tonight’s Injustice 2 grand finals, as WhiteBoi and his stellar Scarecrow bested Slayer at CEO 2017. The Injustice 2 top eight at Community Effort Orlando 2017 had featured a great variety of characters, a host of new and returning talent, and most of all, there was no SonicFox in the grand finals. Both players came in with a great deal of momentum. 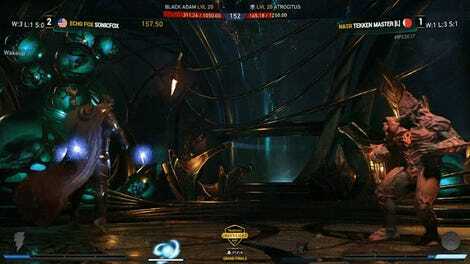 Nicolas “WhiteBoi” Andersen, a Scarecrow main who was a tough competitor in the first Injustice. He had rolled through the winner’s bracket with his play on the fearsome doctor and dealt with many tough opponents, like ForeverKing’s Batarang-spamming Batman. Frank “Slayer” Perales, his opponent in the grand finals, had his fair share of eliminations as well. 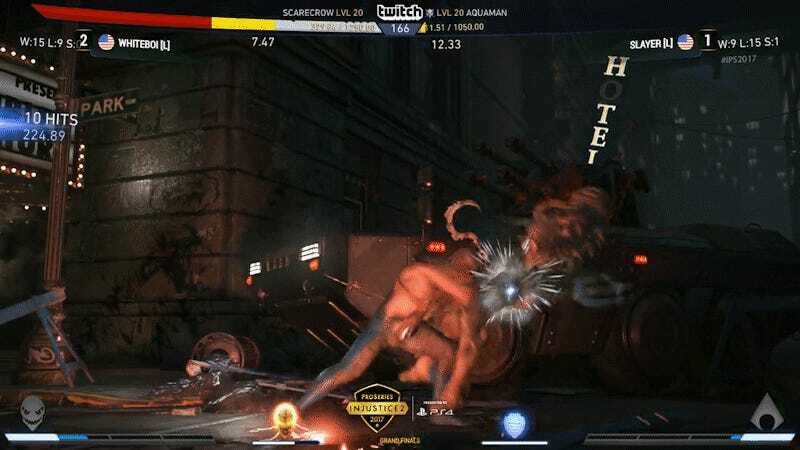 After being dropped to the loser’s side by Whiteboi, he took down SonicFox himself to earn a second shot at the title, in a tense Black Adam mirror match. Since Whiteboi came in from the winner’s side, Slayer had to win two first-to-three sets to come out on top, referred to as “resetting the bracket.” Slayer did just that, narrowly taking a fifth game and eliminating Whiteboi once with a flurry of trident rushes. Whiteboi was resilient, however, and managed to push Slayer onto the back foot. In a climactic game four, a few strong series of combos left Slayer in the corner and out of options, letting Whiteboi pop his fear gas trait (which does damage to his opponent if they get too close) and running in, taking hits on purpose to chip Slayer down. Whiteboi takes home the CEO 2017 belt for Injustice 2 and a strong win going into this summer’s EVO 2017. Both can feel good about their run however, proving that Injustice is still anyone’s game to win.